This is an unsponsored post and the thoughts/opinions are all my own. I do not promote anything that I do not believe in or haven’t used myself. From the second that I picked up a crochet hook and took those first steps to learning the basics, I was hooked (<—see overused but still apt pun here). I have always loved to create and when I was younger, I always had this urge to create something and sometimes struggled to find an outlet that held my interest for long. Then I set out to learn crochet and I finally found that outlet that I had been searching for. My first crochet project was a headband. It was too big, my tension was a nightmare but it was mine. Bringing my completed project home, I dove headfirst into the never-ending rabbit hole that is Pinterest. 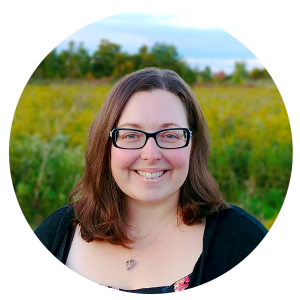 I was obsessed with finding new information, seeking to expand my skill set. I joined Facebook crochet groups, watched Youtube videos and pinned on Pinterest until the wee hours of the morning. There are crazy amounts of information out there! If you’re not careful, you look up from your screen and realize that you have spent an hour on Pinterest when you only meant to spend 5 minutes. I checked online to see what kind of books I could find on crochet. My initial search on Amazon for “crochet books” yielded 30,000 results. 30,000! On an initial scroll-through, most books were priced at around $30. I wasn’t prepared to drop $30 on a book I hadn’t yet touched and been able to flip through in person. My next step was checking out my local library to see if there were any books on crochet available to borrow. My first trip to the library, I checked out over a dozen books. Looking at the Librarian’s face as she saw me checking out so many books on crochet, I knew exactly what she was thinking. “This girl is a PSY-CHO!” I didn’t care. Placing my books in my crochet market bag (obviously), I set off for home to devour these wonderful new treasure troves of information. That day, my daughter decided that nap time was optional so my books would have to wait. Since I am a weirdo, every time I looked at the books waiting in my bag I thought “I’ll read you my pretties, and your author bios too”. Cue: maniacal laugh. Look, the blog name is The Loopy Lamb. I love puns, and I’m (more than) a little loopy. After looking at all the books I decided that what I had been looking for was a book on various stitch designs. The library only had three available to borrow and some psycho that took out more than a dozen books had all three of them… oh wait, that was me. After reviewing all three, I decided that I liked “The Complete Book of Crochet Stitch Designs – 500 Classic and Original Patterns” by Linda P. Schapper the best. It just also happened to be on sale on Amazon and I had Amazon Prime, so it was a no brainer. Two days later, I had the book in my hands. 1. It has a pictoral index. When I’m searching for inspiration or wanting to reference a stitch design whose name I can’t recall (thanks mommy brain! ), I can look at the pictures and find it quickly. 2. The instructions are clear and easy for beginners and it gives you the multiples needed to implement it in your own project. Basic stitches are clearly illustrated in the front of the book. There is also a guide to international crochet symbols. Each stitch design has an image of the crocheted design as well as the chart and written instructions. 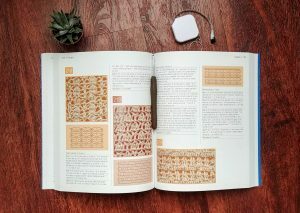 Before I bought this book I could not read a crochet chart to save my life but after using this book and seeing the side-by-side chart and written instructions, I can confidently say that I understand the basics now. The book is broken down into sections which is great too. If you’re looking for a stitch design using a certain type of stitch, you’ll find this helpful. I have used this feature to look for a design many, many times. The other day I was wanting to find a design that featured a cluster stitch. Flip to section 17 and there are all your cluster stitches. The sections are all helpfully outlined in the contents section of the book which makes finding the section you’re looking for a breeze. The one thing that I’m not crazy about is that stitch design images are done in white yarn with a coloured background behind the design. It really makes the book seem dated. If I was shopping the shelves at Indigo, this book would not have drawn my eye and made me go “get in my buggy!” Doing the designs all in white can illustrate the designs more clearly and I appreciate that fact. However, mixing things up with another light colour could maybe make the book a bit more visually appealing. Additionally, none of the designs have names. This makes it difficult to reference a stitch design when describing it to someone else. It isn’t a deal breaker but it would be nice to have had it included. 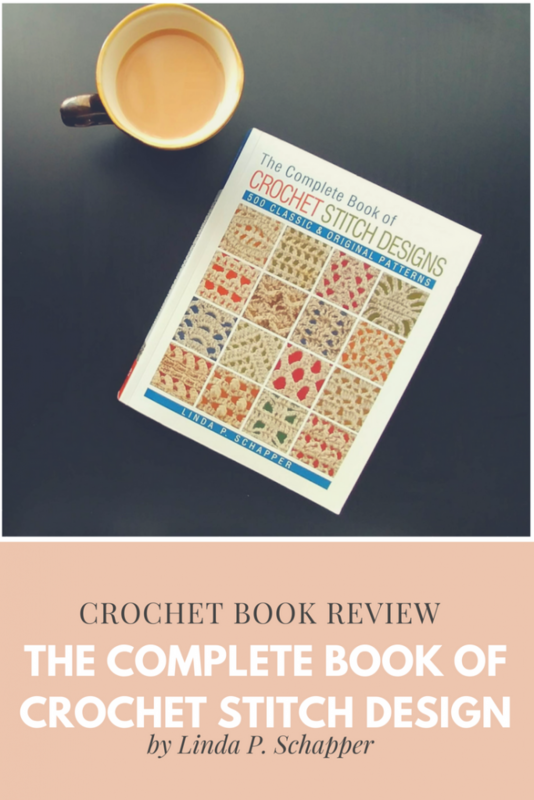 Overall, I think it gives you a nice variety of different stitch variations and when I’m in a crochet rut, flipping through the pages always gives me a flare of inspiration. As for the price of the book, it was pretty reasonable. The cover price (at the time I bought it) was $22.95 CAD and $19.95 USD so at approximately $0.05/stitch design, it’s a great buy. Whether you’re a beginner or experienced crocheter, this book has something to offer everyone. If you’re interested in checking out this book, you can find it on Amazon by clicking HERE. What is your favourite crochet book? Have any suggestions on books you’d like me to review? Leave me a note below! I have a new free crochet messy bun hat to share with everyone in my next post. Subscribe to my email list to receive an email when the post is live.